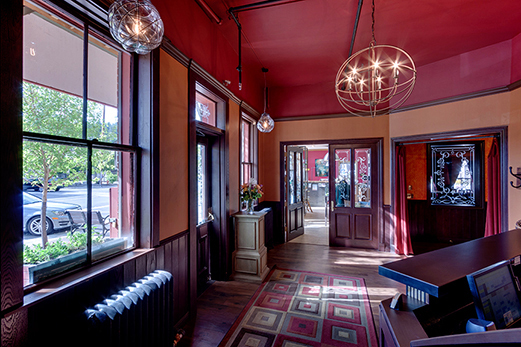 Located in the heart of historic downtown Truckee, when you walk into the lobby you will find a caring and gracious staff that will go out of their way to make you feel welcome and at home. The warm earth tone and rich wood complements the fresh mountain air as you ease into your stay with us. 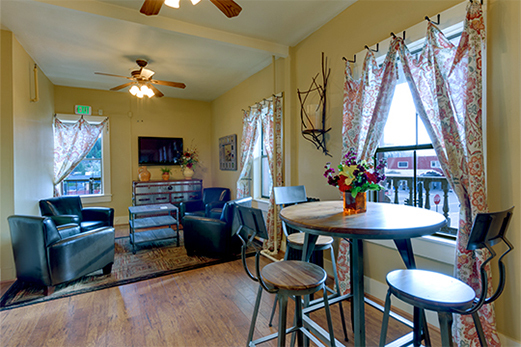 Every morning from 7-10 a.m. a continental breakfast of rich brewed coffee and herbal teas, baked goods, fruit, oatmeal/cereals and juice can be enjoyed in a warm setting while capturing the daily weather and news on a large flat screen TV. The Truckee Hotel is centrally located to many North Lake Tahoe ski areas such as Squaw Valley, site of the 1960's Winter Olympics, as well as Northstar, Sugar Bowl, Alpine Meadows, Tahoe Donner, Royal Gorge and more, including Tahoe's latest action packed Woodward at Tahoe. 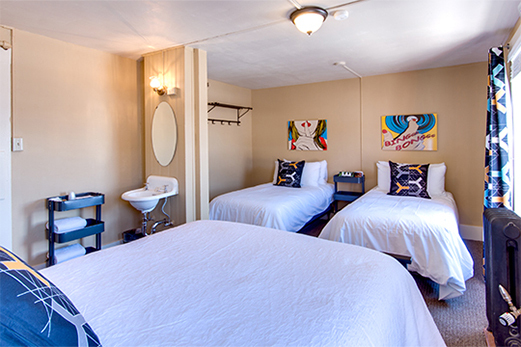 While staying at the Truckee Hotel you can access all of North Lake Tahoe's best amenities, shop in Downtown Truckee or dine in the many restaurants and bistros nearby. 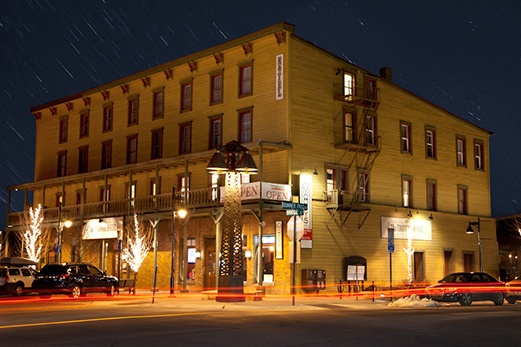 Established in 1873, the Truckee Hotel is a staple in tales of Truckee's past. 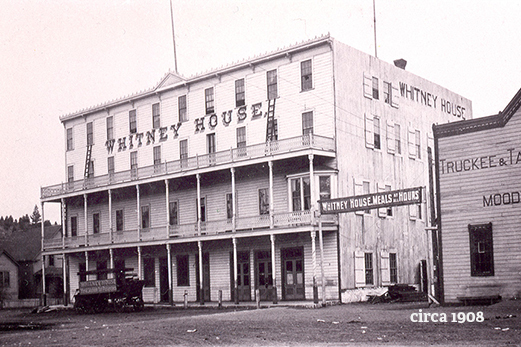 First built as the American House, later known as the Whitney House, the structure stands tall on the historical registry. 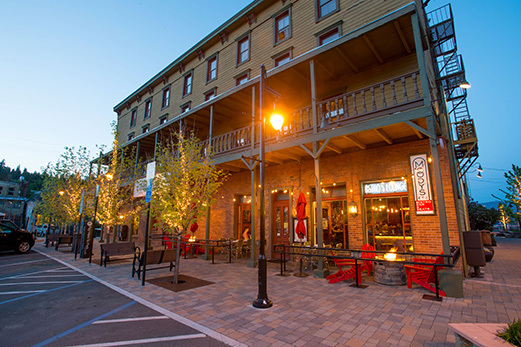 Touched by many as a stagecoach stop on the Dutch Flat Wagon Road, the Truckee Hotel remains a drop-in for Sierra visitors, historians, adventure seekers, foodies, actors, and musicians. 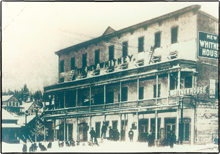 In 1976 the hotel was renamed The Truckee Hotel, and in 1992, extensive exterior renovations restored the building to its present day appearance. 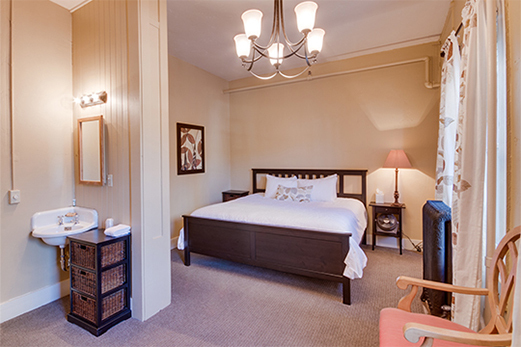 The recent interior remodel with warm earth tone color carpeting, linens, finishings, amenities and rich wood complements the fresh mountain air as you ease into your stay with us. 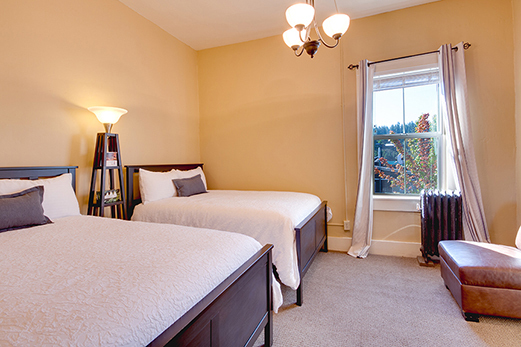 We have a variety of accommodations with twin, double, queen or king size beds. 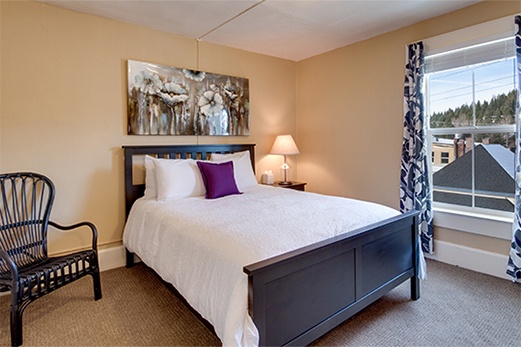 Most of our rooms are for two people, but we also have four family rooms that sleep up to five. 100% non-smoking, no pets allowed. 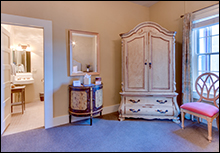 Our twenty-eight European Rooms have their own sinks, in the European tradition, and share baths down the hall. There are nine hall bathrooms throughout the hotel, each designed for individual use with privately locking doors, all in immaculate condition. 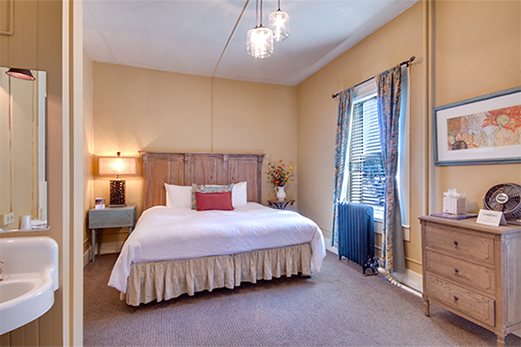 Our eight American Rooms with private baths have beautiful claw foot tubs with shower curtains. 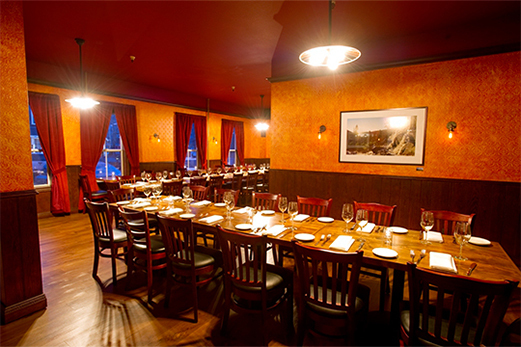 Two of the American rooms can be adjoined to a European Room to accommodate families or friends. Complimentary wi-fi. 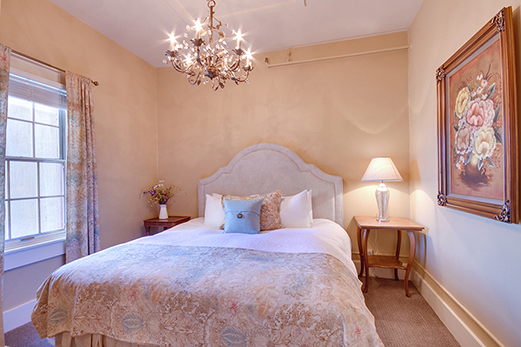 Room rates vary from $79-$229. This policy was last modified on February 3rd, 2014.